There’s nothing better than the taste of smoked turkey, or the satisfaction that comes from making it happen with Traeger! 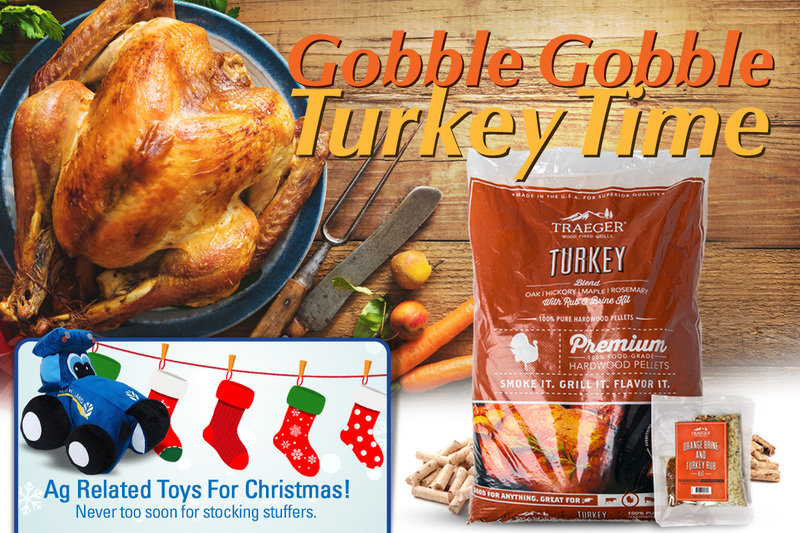 Turkey Blend Pellets – 20lb Bag with Rub and Brine Kit available at Kuckenbecker Tractor Madera. 5% off all pellets during the month of November. Also many great Ag Related toys in stock! Its never too soon to think about stocking stuffers. Like us on Facebook for 10% off Traeger grill accessories! Click Here to go to Facebook!